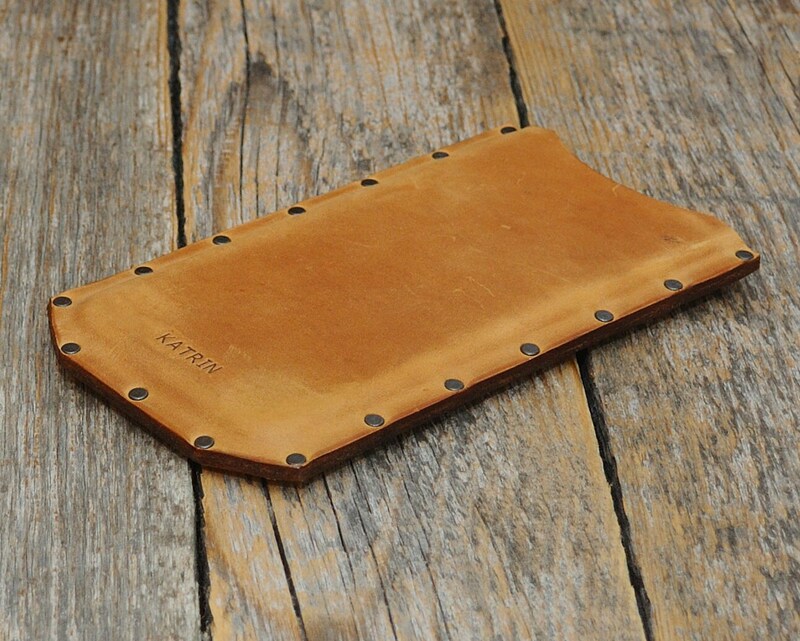 iPhone X 8 7, iPhone 8 7 Plus, 6, 6s, 6 Plus, 6s Plus, SE, 5s case waxed genuine brown leather cover. Rough style sleeve riveted case pouch. 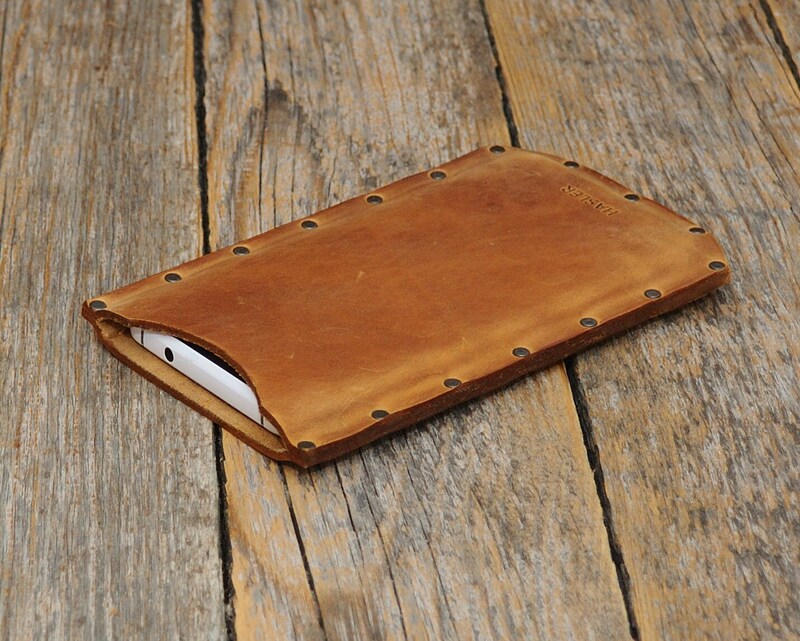 We introduce to you our one-and-only brown leather iPhone cover! 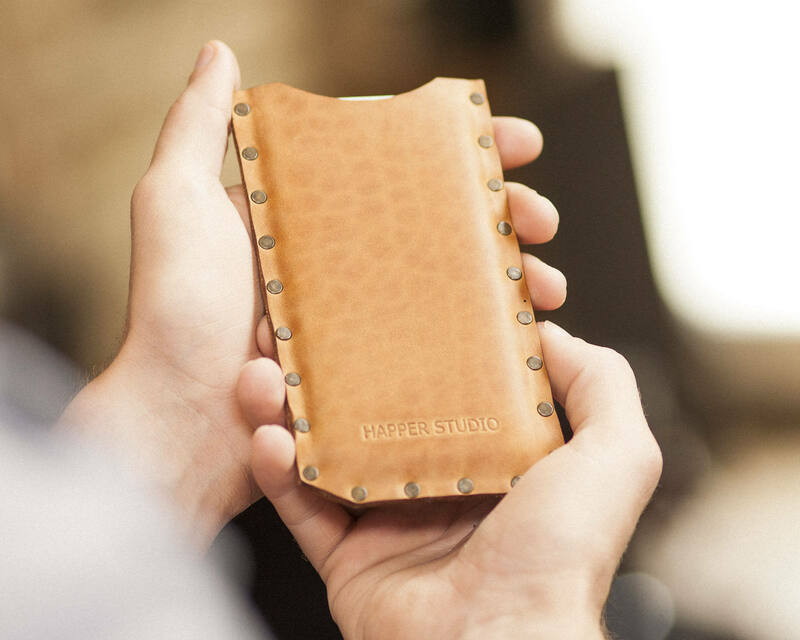 Made with the genuine waxed leather, this case is handmade and secured using rivets on the outer seams. *Add your initials, personalize it! Please tell me your word, initials or name in the "Notes to HAPPER" box during checkout. 14 characters is the maximum! If need more letters, please convo me. I use "TAHOMA" 16 size font (5 mm = 3/16" high). All letters are UPPER case. I use smaller TAHOMA font by default. 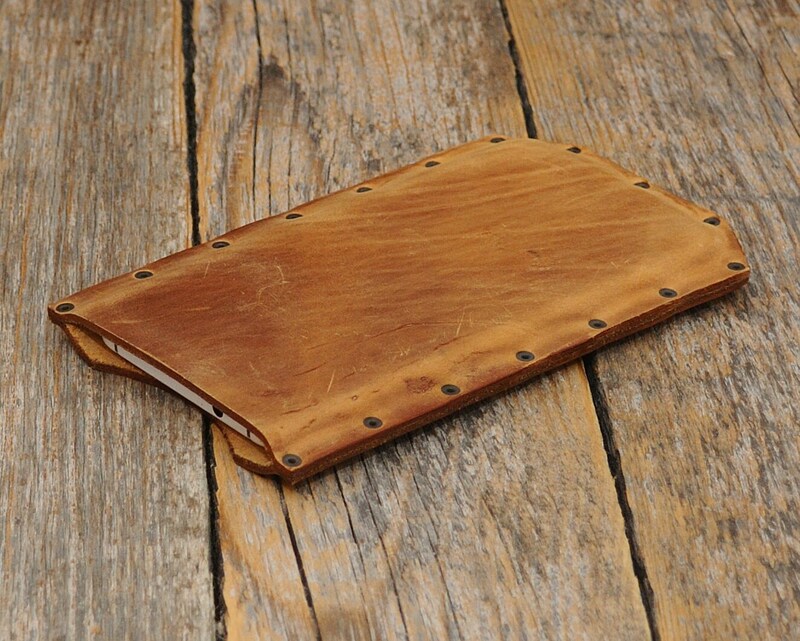 This leather sleeve is also very durable and great prevents your mobile from scratches, damages and dust. 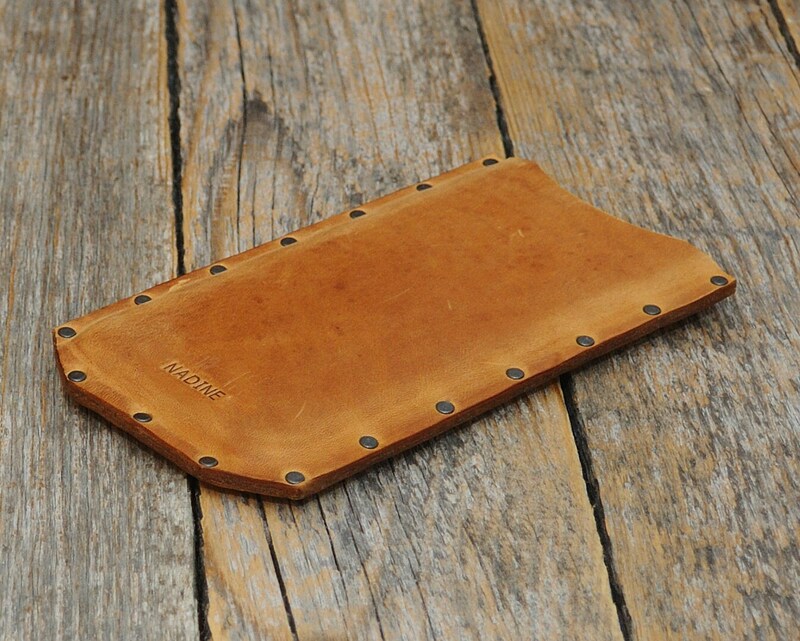 Leather has a thickness of ~2 mm it provides excellent protection for your device. We try to choose best leather for you. 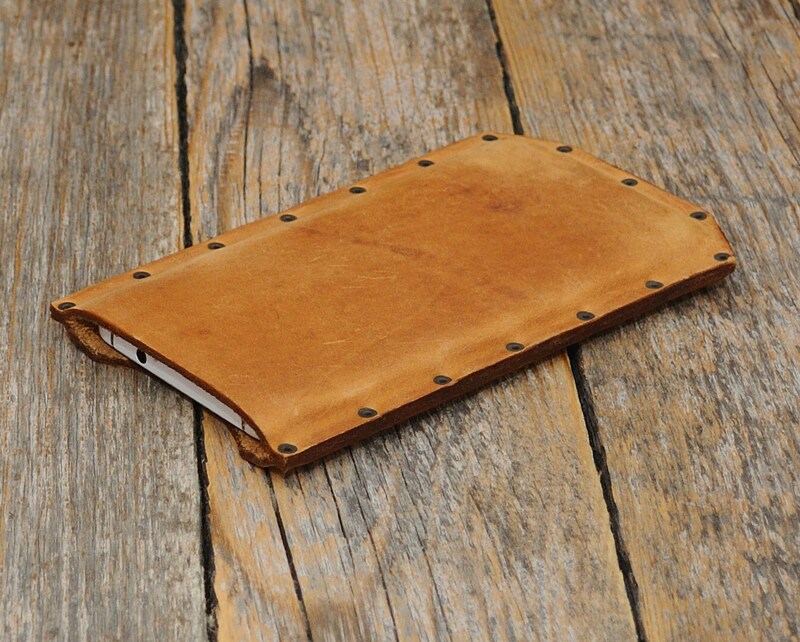 Genuine leather has natural markings, which are like fingerprints. 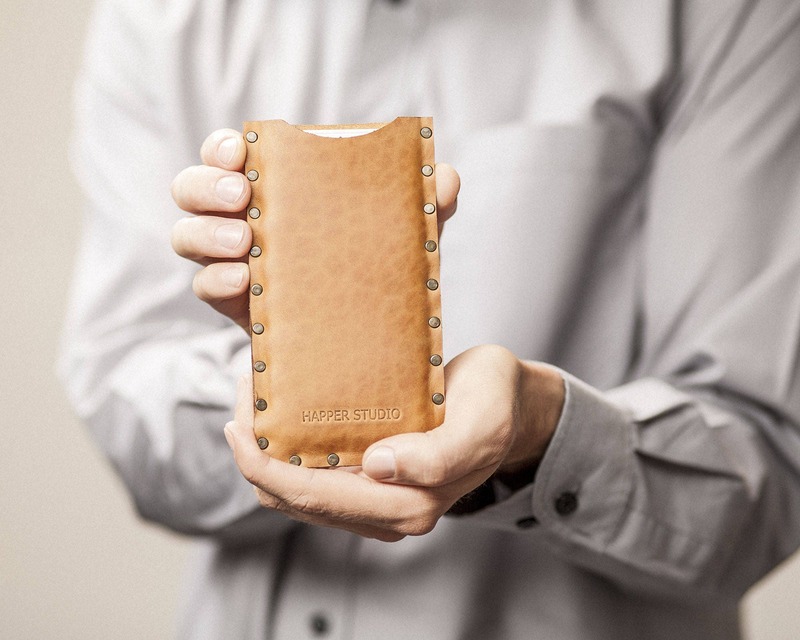 They distinguish genuine leather from man-made materials. Picture of stock item. Textures and markings of each sleeve might be slightly different and unique. Happer Studio is a small family run business specializing in hand-made leather bags, sleeves, laptop cases and accessories.